Optimum Moving is a professional moving company that provides high quality moving and relocation services in New Jersey and the Tri-State area. Since our inception, we have been handling a wide array of relocation needs. Each of the projects we have undertaken required unique skills and techniques to complete the job while ensuring customer satisfaction. That’s why we are more than ready to help you with your move in or out of Fanwood. Located in Union County, NJ, Fanwood is a borough incorporated from portions of Fanwood Township in 1895. Fanwood Township is known as Scotch Plains. With a total area of more than 1.3 square miles, Fanwood was named after Fannie Wood, a renowned author. Route 28, which connects Plainfield and Scotch Plains, is known to pass through Fanwood. The borough is also bordered by Plainfield in the southwest and by Scotch Plains in the rest of the directions. 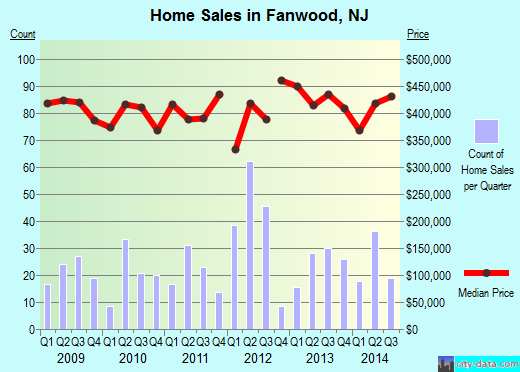 In Fanwood, the average house costs approximately $385,585, and three bedrooms are found in more than 1,500 homes. Research has shown that Fanwood residents stay in this city for relatively long durations. About 68% of its 7,510 residents live in the same house for an average of five years. Renters live in their rental homes for less than a year on average. Property owners with condos and houses live in the same home for an average of 12 years. Your successful move in Fanwood begins with a simple consultation with Optimum Moving. Our professional moving staff will listen and discuss your needs at length, making sure you have voiced out all your concerns and special requirements. Next, you can enjoy peace of mind as we utilize well-maintained equipment such as shipping containers, heavy duty dollies, and more. What’s more, we use professional coverings and labeled boxes to ensure the best logistic practices. What lies ahead is a smooth and successful move for you! Want to learn more about a Fanwood Move?